Just days after Honda confirmed the eighth death linked to the ongoing recall of defective Takata airbags in millions of vehicles from nearly a dozen manufactures, the Japanese parts maker says it is considering the possibility of creating a victim compensation fund. The Wall Street Journal reports that Takata CEO Shigehisa Takada revealed that the creation of a fund was just one of several options the company was looking at to compensate victims of the safety devices that have been found to spew pieces of shrapnel with enough force to injure or kill occupants. Shigehisa’s remarks came during his first news conference addressing the massive airbag defect in Tokyo on Thursday. Recalls of vehicles with Takata-produced airbags began slowly in 2008, but gained traction over the last year, culminating in the recall of 33.8 million vehicles last month. For much of the last seven years, Takada has remained mum about the airbag issues, only giving apologies for the defect in statements. News that the parts maker would consider a compensation fund comes two days after Connecticut Senator Richard Blumenthal called on the company to establish a program during a congressional hearing on the defect. At that time, Takata’s North American executive vice president, Kevin Kennedy, said he couldn’t commit to creating the fund, the WSJ reports. While there are no details on what a possible victims compensation fund might look like for Takata, it’s possible it could be modeled after a similar program currently used by General Motors to provide compensation for victims of its massive ignition switch recall. So far, that fund has approved claims for 117 deaths and 237 injuries. The company estimated at the time the fund was set up in August 2014 that it could spend between $400-$600 million compensating victims. Takada offered few other details regarding the airbag defect on Thursday. Neither he nor other executives addressed whether or not the company was any closer to determining what has caused the airbags to explode with such force. 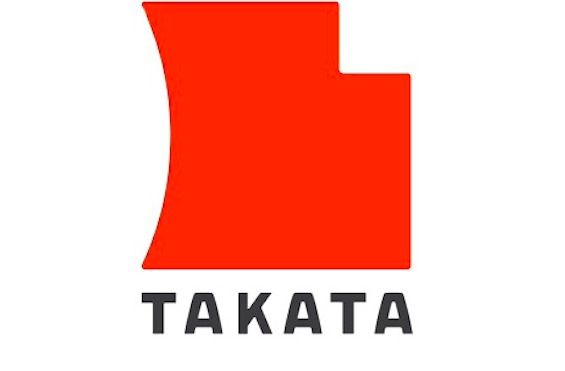 At an earlier congressional hearing, Takata announced it would change its use of the often volatile chemical ammonium nitrate in its safety devices and replace its batwing driver inflators. The company also plans to re-recall about 400,000 vehicles that have already been repaired.